The statistic represents the natural gas imports from Algeria into the United States between 1970 and 2012. 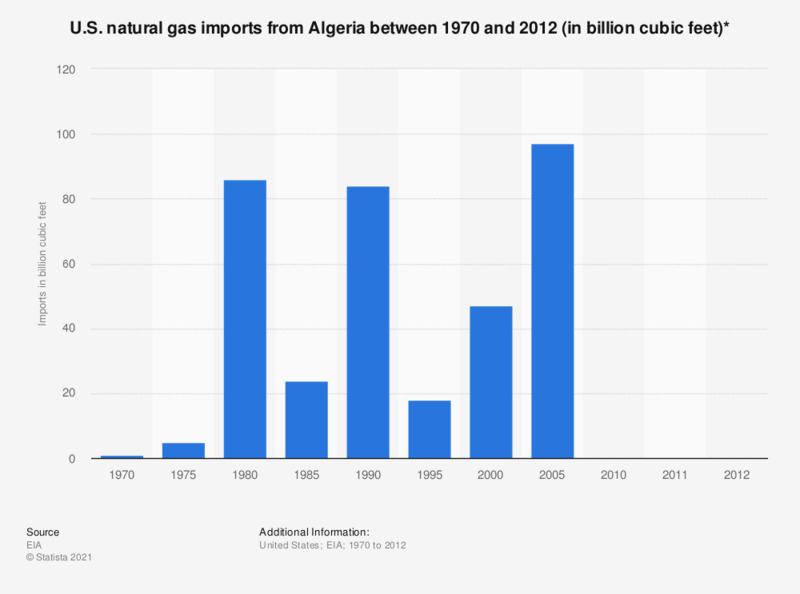 In 2000, the United States imported around 47 billion cubic feet of natural gas from Algeria. The value for 1970 is taken from EIA's Annual Energy Review 2009 (PDF) (page 191).